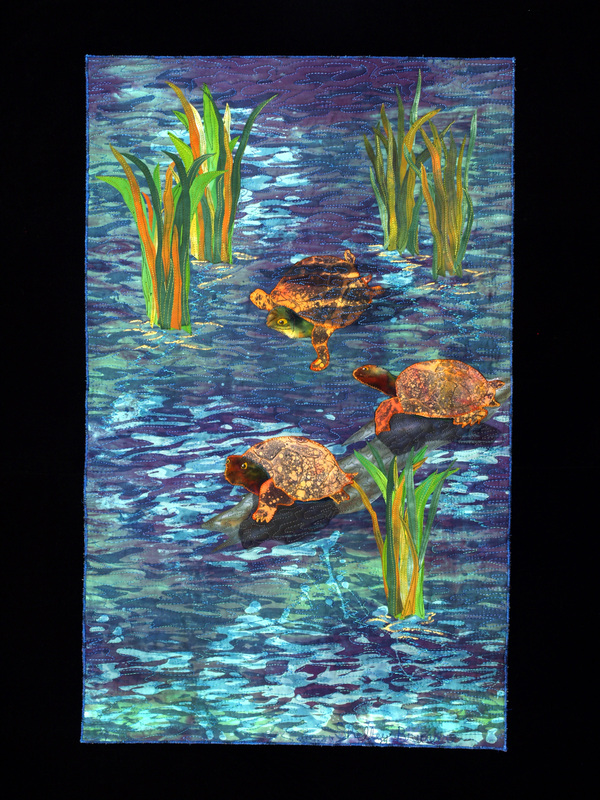 You can still see the Fiber Artists Coaliton exhibit, Conversations in Stitch at the Anderson Art Center! 60 works by 18 artists are displayed in the beautiful mansion on the lake in Kenosha, WI until March 20. Southern Lights IX has been juried into the “Half the Sky” exhibit at the Tall Grass Arts Association, 367 Artists Walk, Park Forest, IL. I find the Chinese proverb that the show is based on quite appealing; it is “Women hold up half the sky.” This exhibit celebrates women’s contributions to history, culture and society. What could be more appropriate than fiber art? In addition to utilitarian value, i.e., providing warmth, quilting and quilts have a long history that encompasses the telling of stories through patterns, providing a creative outlet for women and promoting friendship through quilting bees. Quilts are believed to have been used to direct slaves to escape routes and assistance through use of specific patterns which signified routes and “safe houses”. In spite of such a rich history, quilts and quilt-making have traditionally been women’s work and have long been devalued or ignored by the patriarchal world of art. Women’s contribution to our culture through the art and beauty of quilts is evident in the intricate patterns and elegant workmanship seen even on quilts that were made for the sole purporse of keeping one’s family warm. 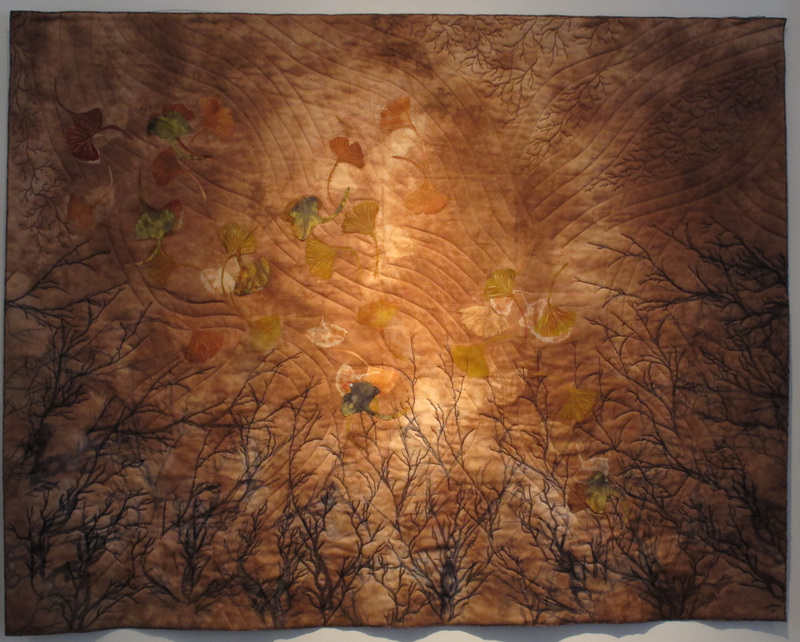 The transformation of quilting status has come about in part due to the feminism and craft movement of the 60’s and 70’s and perhaps mostly due to the proliferation of fiber artists and the advocacy of group like Studio Art Quilt Associates. 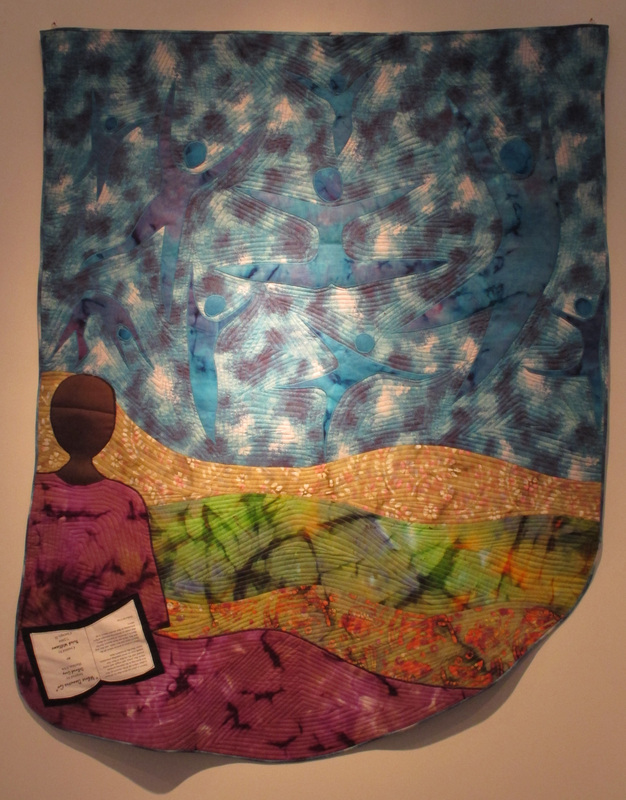 SAQA, with 2400 international members, almost entirely women, and similar organizations promote the art quilt through education, exhibitions, professional development and documentation while maintaining a clear relationship to the folk art quilt from which it descends. 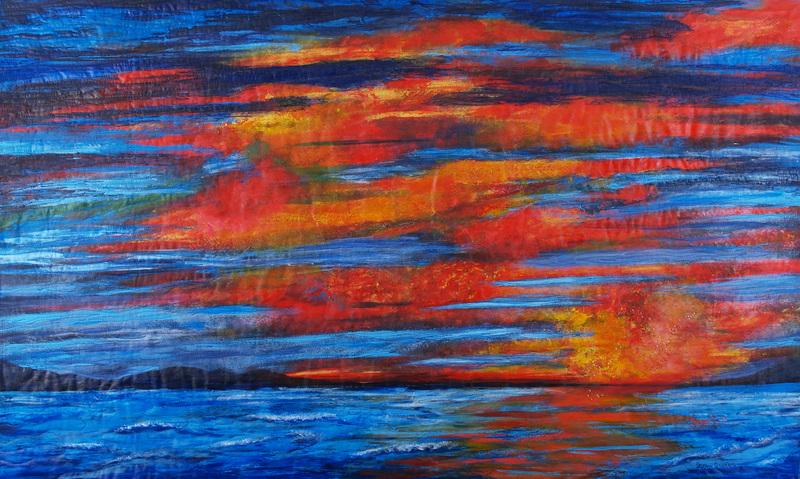 “Half the Sky” can be viewed Friday, February 25 through Sunday, May 8 with Artist Reception February 25, 7:00pm. 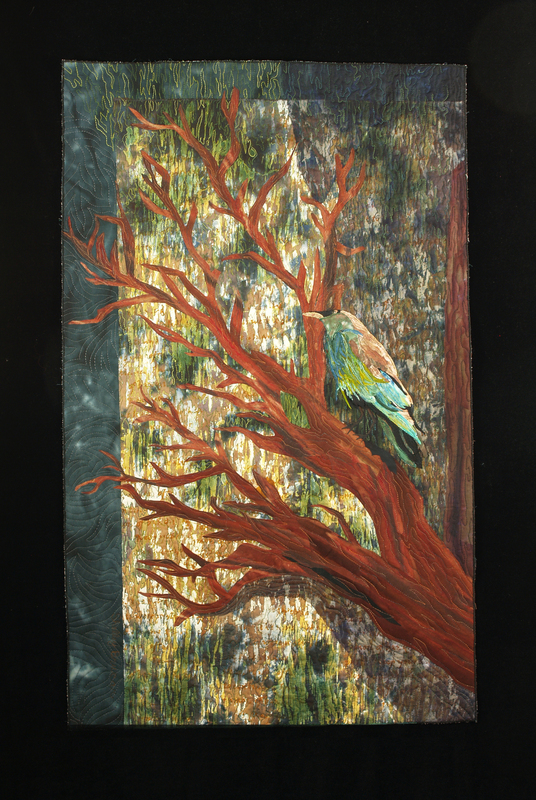 Fiber Artists Coalition will exhibit “13 Ways of Looking at a Blackbird” and “Midwest Meditations” during the month of March at Simply Chicago Art, 1318 Oakton, Evanston, IL. These exhibits can be viewed from Friday, March 4 through Sunday, March 27. Opening reception is Friday, March 4, 5:00 to 9pm. Regular gallery hours are: Friday 5:00-9, Saturday noon to 6:00pm, Sunday 1:00-4pm and by appointment. 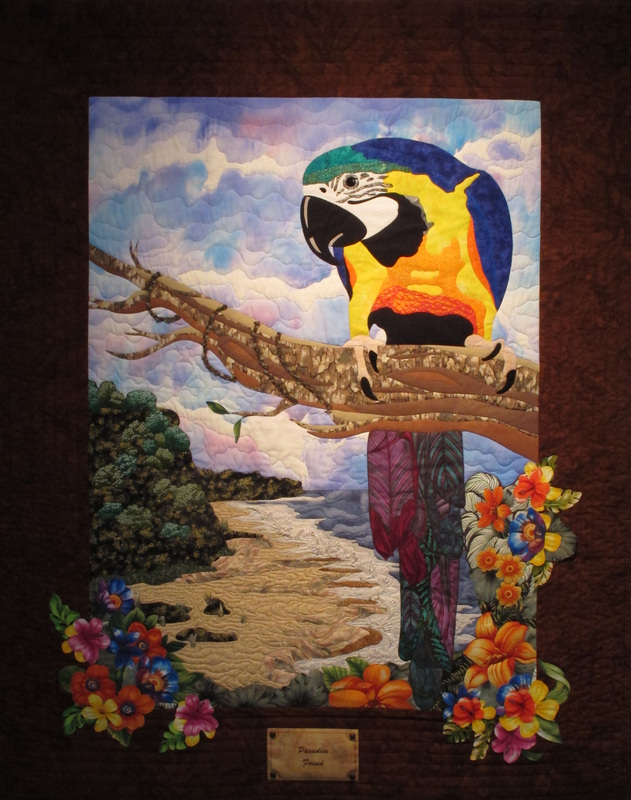 Fiber Artists Coalition is a group of fiber artists, all professional members of Studio Art Quilt Associates, living in the upper midwestern US. 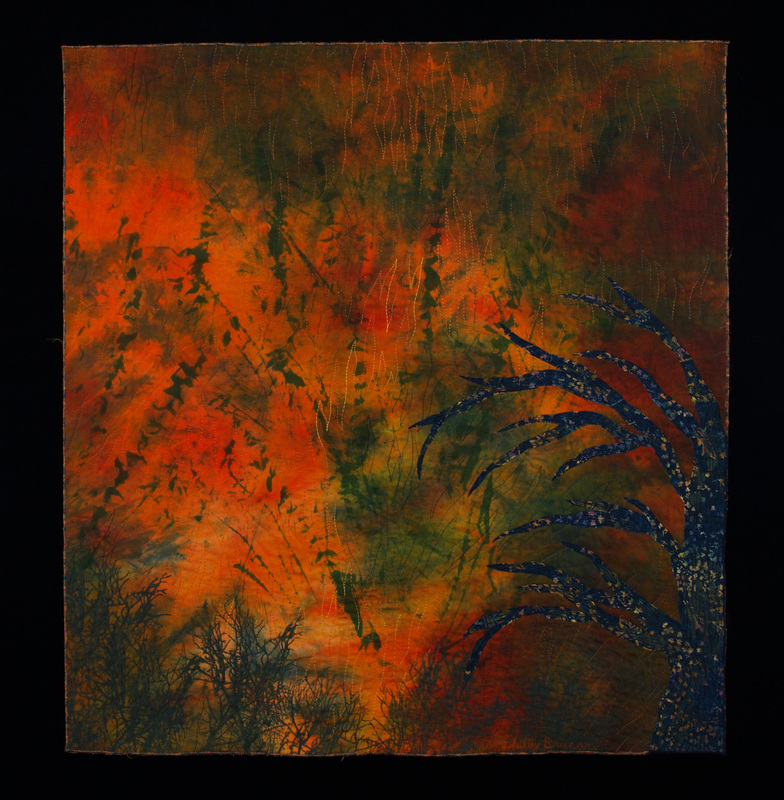 FAC curates and secures venues for exhibiting members’ contemporary fiber art.